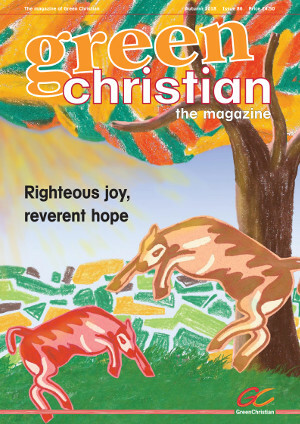 The Green Christian magazine is published twice yearly and sent free to members. Some sample articles from the current magazine are published here. Previous issues can be downloaded in pdf format from below. Each magazine has several Book Reviews which can always be read online. Editorial: Leaping like calves at Christmas! Click on the image to download the pdf and see the whole magazine. Click on the title to also view the table of contents. 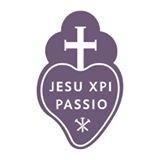 For current copies, or a back edition, please send a £6.00 cheque to Green Christian, 10 Kiln Gardens, Hartley Wintney, Hampshire, RG27 8RG, UK. tel: +44 (0)345 4598460. (This includes P&P). Please check that the back edition you require is available before sending money. To become a Green Christian magazine subscriber or Green Christian member which means you receive Green Christian magazine as part of your membership go to the join Green Christian page for details of costs. Contributions should be on a CD, or sent as an email or an attached file to the editor, editor@greenchristian.org.uk. Otherwise, clear typescript is acceptable when negotiated with the Editor. Accompanying graphics will increase the chances of publication, including where possible a photograph of the author. An early email to the editor to indicate an intention to write is very helpful. Green Christian is intended as a forum for Christians of all traditions to reflect on and contribute to current thinking in the green movement. Items in Green Christian Magazine reflect the views of their author and not necessarily those of GC.